According to Amnesty International, the following distinctions are made when defining asylum seekers and refugees. “An asylum seeker is an individual who is seeking international protection. In countries with individualized procedures, an asylum seeker is someone whose claim has not yet been finally decided on by the country in which he or she has submitted it. Not every asylum seeker will ultimately be recognized as a refugee, but every refugee is initially an asylum seeker. Whether an individual is seeking to enter the United States or another country as an asylum seeker or refugee, they are most likely in a desperate situation with potentially violent consequences if they are unable to gain entry. They will most likely remain in refugee camps located near the border for extended periods of time awaiting the opportunity to apply for asylum. They will be reliant on support and services provided by organizations supporting the United Nations for basic survival. While individuals seeking asylum in the United States are told that all applications will be processed so long as they enter through official points of entry, the reality is that most are turned away. For the small number of individuals that do gain the opportunity to apply for asylum, the process is complicated, lengthy and documentation is not likely to be in their native language. The number of layers of impossibility are many, however, individuals and families keep pushing forward to escape unimaginable circumstances. Understanding the requirements and ability to complete the required documentation is difficult even in an individual’s own language. Even if an individual finally gets the opportunity to apply at an approved point of entry for the United States, the odds of them being able to understand and complete the requirements seem insurmountable. Language barriers make it difficult for individuals to understand the requirements and their rights. Being unable to correctly complete required documentation delays applications and increases the amount of time individuals and their children spend in refugee camps in deplorable conditions. Without translators involved, there is misinformation and those seeking asylum fall prey to smugglers and other horrors. U.S. Citizenship and Immigration Services (USCIS) is responsible for adjudicating immigration benefits, promoting citizenship and ensuring the integrity of the nation’s immigration system. According to the USCIS website, they regularly interact with limited English proficient (LEP) applicantss in languages other than English through interpreters and translated materials. Their website includes some materials translated in 25 languages and a separate website translated into Spanish for those seeking citizenship. The U.S. Customs and Border Protection (CBP) website also provides some materials translated for LEP applicants in 17 languages. Spanish is the only language that contains a translation for the US Citizen Entry Documents guidance and the link leads to an error message. While there is some effort to support asylum seekers in their native language by the US government agencies on the Internet and field sites, there are large gaps in this support when it comes to supporting asylum seekers being detained at borders. The gaps are filled mainly by volunteer charitable organizations providing legal advice and also support once individuals have achieved green card status. Prior to gaining legal entry into the US, the asylum seeker’s situation appears bleak. 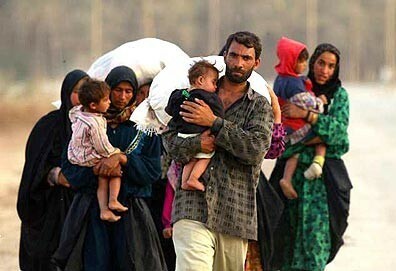 Humanitarian organizations such as Translators Without Borders assist to lessen the opportunities for abuse of refugees. Additionally, smartphones apps have created opportunities for support for those that can afford them. In addition to accessing critical information, translation apps and ways for refugees to keep in touch with displaced family members are now possibilities. Alpha Omega Translations has been assisting NGOs and the Department of Justice with translation and interpreting services in their efforts to manage multiple refugee crises in the US and abroad. The issues facing asylum seekers are many, but providing translation support at borders would provide critical information and reduce further exploitation of these extremely vulnerable populations around the globe.